Daffodil Family encompasses over 40 concerns in four different arena-ICT, Education,Entrepreneurship and Hospital sectors. The Group is operating in major divisions and cosmopolitan areas in Bangladesh and started its operation in International dome. Today the group has started operation in UK, USA, Malaysia and Dubai and also has network and links worldwide. As the company is growing and increasing international footprint, the brand is also gaining international recognition. Every concern of Daffodil Family operates independently and each of these companies has its own board lead by directors. Daffodil Family is focusing on new technologies and innovation in thoughts, processes, approaches and strategies to excel in business and service arena and also returning wealth to the society we serve. 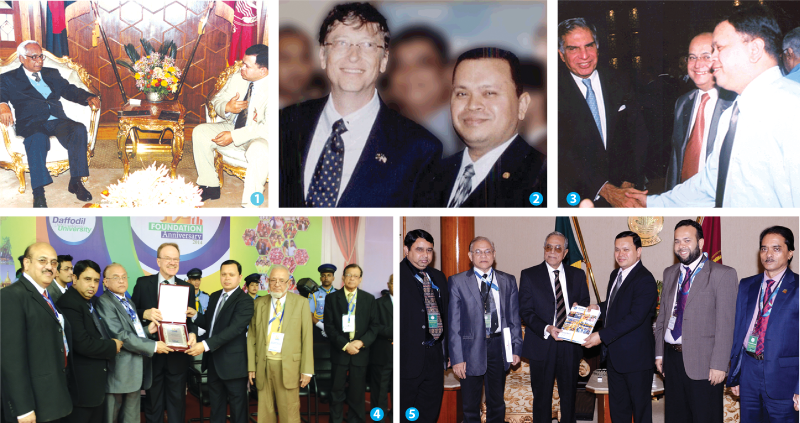 Daffodil Family is the leading ICT Conglomerate and the largest Education provider in Bangladesh. We are committed to the people in providing winning edge through IT services and contributing to develop human resources by quality education and training. Since its inception, we are focusing on becoming agile high-performance company through services and products. Our effort in the last few years, our innovation in service sectors and our intension to add extra value to everything we have brought us the reputation globally as benchmarked solution provider in the country. Today Daffodil Family encompasses over 17 concerns in two specific arena-ICT and Education. The Group is operating in major divisions and cosmopolitan areas in Bangladesh and has started its operation internationally. Today the group has started operation in the UK, USA and Malaysia with network and links worldwide. As the company is growing with increasing international footprints, the brand is also gaining international recognition. Different concerns under Daffodil Family have been set up with an aim to empower our youths through education and training and support the development activities of the country. We took the stand by our philosophy to provide the best services with professionalism. We provide a portfolio of IT services, software, and technology that solves critical problems for clients and also brought quality education from Education from PG (Play Group) to PG (Post Graduate) level in the commitment to the empowerment of the future generation.Every concern of Daffodil Family operates independently. Daffodil Family is focusing on new technologies and innovations in thoughts, processes, approaches and strategies to excel in business and service arena and returning wealth to the society we serve. National: 17 concerns in operation, more in process. Education Ventures:Daffodil International University and another seven (7) under Daffodil Education Network e.g., Daffodil Institute of IT, Bangladesh Skill Development Institute, Daffodil International College, Daffodil International Professional Training Institute, Daffodil International School, Premier International College, Daffodil Japan IT.